Created by the Campus Election Engagement Project, a nonpartisan effort to help college and university administrators, faculty, and student leaders engage their schools in the election. Key sites consulted included Votesmart.org, OntheIssues.org, FactCheck.org, Politifact.com, and public candidate statements. For guides to local races, see Vote411.org from the League of Women Voters and Ballotready.org. For more detailed information visit their votesmart.org pages. To download a printable PDF version of this guide, click here. 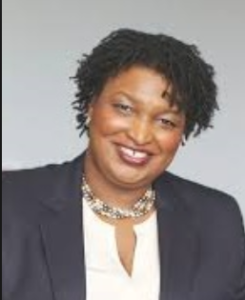 Visit staceyabrams.com and www.kempforgovernor.com to volunteer. Other candidates for governor include Ted Metz (Libertarian) & Larry Odom (Independent). Due to limited space, we can include only responses of candidates who poll over 15%, but encourage you to check out their websites. Climate Change: Consider climate change a critical threat? Abrams – Yes. “It is vitally important that we do everything we can to help fight climate change.” Renewable energy is central to her economic development plan. Kemp – No stand found. Contraception: Allow employers to withhold contraceptive coverage from employees if disagree with it morally? Kemp – Yes. As governor, will sign a “religious freedom” bill that would allow withholding of contraceptive coverage. Economy: Support Trump’s imposition of tariffs on Chinese steel & other products? Abrams – No. They are “a terrible idea” & have triggered major concerns in many sectors of the Georgia economy. Education: Increase funding for K-12 education? Abrams – Yes. Make necessary investments to reduce long-term costs & increase long-term return on investment. Education: Support publicly funded vouchers or tax breaks to help parents send children to private schools? Abrams – No. Opposes vouchers for private schools & unchecked expansion of charter schools. Kemp – Yes. Supports vouchers to attend private schools & expanding charter schools. Education: Increase state funding for higher education? Abrams – Yes. Includes needs-based aid for low-income students, restoring tuition-free certificates, and funding Georgia 2025 program. Abrams – Yes. Voting rights platform supports nonpartisan redistricting commission to create fair districts. Abrams – Yes. First endorsed marriage equality in 2006. Kemp – Unknown. Supports business owners choosing not to serve gay customers on religious grounds. Abrams – Yes. Supports requiring universal background checks; banning assault weapons; establishing protective risk orders plus laws for domestic violence situations, & repealing campus carry. Kemp – No. Opposes new gun control restrictions, supports campus carry, arming K-12 teachers, & “constitutional carry” without permit or application. In humorous ad, pointed a shotgun at teenage boy sitting next to him, saying dating his daughters required appreciating the Second Amendment. Healthcare: Support or Repeal ACA, aka Obamacare? Accept ACA’s Medicaid expansion to subsidize low-income participants? Kemp – Repeal ACA. “[It] is an absolute disaster & needs to be repealed immediately.” Opposes Medicaid expansion. Healthcare: Require people to work to receive Medicaid? Immigration: Support DACA, allowing “Dreamers” who arrived illegally as children, then grew up in the US, to achieve legal status if meet certain conditions? Abrams – Yes. Advocates a clean DREAM Act legislation with path to citizenship. Immigration: Support path to citizenship for America’s 11 million illegal immigrants? Abrams – No stand found. Kemp – No. In ad, said he wants to round up “criminal illegals” in his pickup & take them home himself. Will crack down on illegal immigration. 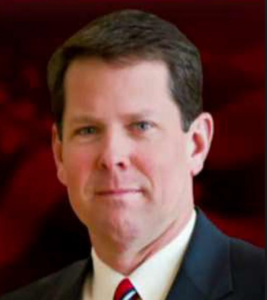 Kemp – “Unequivocally” opposes recreational use. Supports limited medical use. Minimum Wage: Raise the minimum wage above $7.25/hour? Abrams – Yes. Raise state minimum wage to $15/hr. President Trump: Response to President Trump’s actions & policies? Abrams – Strong opponent, consistently questions policies & actions. Kemp – Endorsed by Trump in the primary. A vocal supporter who shares many of the same policy goals. Vows to “unapologetically stand with” Trump. Abrams – Yes. Co-sponsored multiple bills providing financial incentives for solar, biomass, & wind. Advanced Energy Jobs Plan centers on creating a Green Bank to spur investment in renewables. Abrams – No. Detailed voting rights platform includes nonpartisan redistricting commission; online, automatic, & same-day registration; & early voting.